Jussi Adler-Olsen is a publishing professional who made good. In previous lives, the bestselling crime novelist had worked as a proofreader, bookseller, printer, editor, and managing director of a publishing house, but his international fame rests on the Department Q franchise. It is literally a basement office devoted closing cold cases. Carl Mørck was supposed to just sign off on the previous inquiry, in what was intended as a bureaucrat assignment, but that is not how he rolls. Instead, he will reopen investigations, showing up his resentful colleagues. 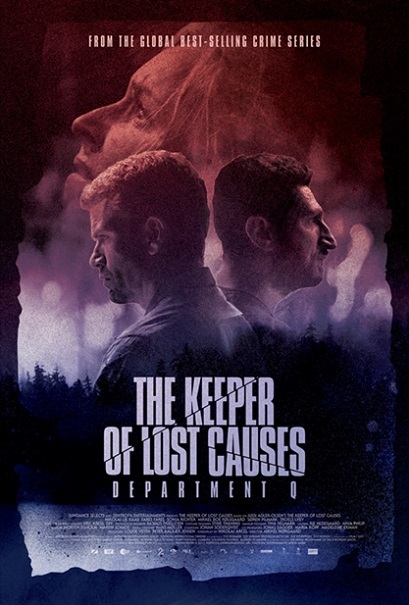 He is not politically savvy, but Mørck and his assistant are the only hope left for a kidnapping victim in Mikkel Nørgaard’s Department Q: The Keeper of Lost Causes (trailer here), which opens with the entire Danish crime trilogy this Friday at the IFC Center. Mørck was never popular on the force, but when his decision to enter a crime scene before back-up arrived led to the death of one officer and the paralysis of another, he is shunned like Bill de Blasio. Of course, Mørck’s guilty conscience will be far worse punishment than his colleague’s silent treatment. Department Q was a way to sweep Mørck under the rug. Good luck with that. Hafez al-Assad considers Department Q a step up from the motor pool, at least until he meets Mørck. However, when he lays out the first batch of cases files, the presumptive suicide of Merete Lynggard catches the anti-social cop’s eye. Supposedly, the up-and-coming local politician committed suicide on the ferry, leaving her developmentally disabled brother unattended (permanently), but Mørck never believed it, for obvious reasons. Aside from hardly seeming suicidal, her body was never recovered. If Denmark is so cavalier when it misplaces its politicians, it might be time to consider moving there. Nonetheless, the cold case is not much of a mystery, but it is an increasingly intense ticking-clock thriller. Nørgaard quickly reveals Lynggard has been held captive for the last five years in a pressure chamber. During that time, her captor has slowly increased the pressure. He will soon reach the absolute limits of human endurance, so Mørck had better get his act together. You can’t possibly ask for any more angsty brooding than that delivered by Nikolaj Lie Kaas. 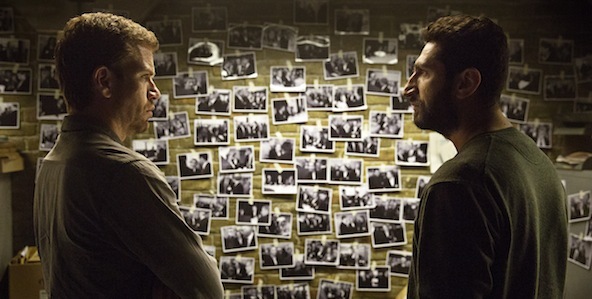 Even by the Scandinavian standards set by Kurt Wallander, he is quite the self-defeating basket case, but he develops some engagingly dysfunctional chemistry with Fares Fares’ Assad. Sonja Richter is also terrific as Lynggard’s whose flashback sequences fortunately involve more than the pressure chamber torment. Structurally, the first installment of the Department Q trilogy is a pretty standard procedural, but the pressure chamber is an especially nasty plot device and Mørck is an exceptionally depressive protagonist. It is a solid policier, but the trilogy actually improves with each film. Recommended as the start of a binge series, all three Department Q films open this Friday (6/17) in New York, at the IFC Center (with separate admissions).